We have kept us busy in our daily lives and with a mission to make our lives easier and comforting, but in all this scenario, we have not forgotten the small charms and events linked with it, a little birthday, a Christmas, an engagement, buying a new apartment and so on, and with all these events we tend to keep enjoying and try to make a healthy living out of it. In all of the said event, marriage is one of the important and most remember able event of all, where the bride and grooms have their happiest moment of all. All the guests are happy and kids playing and enjoying around and its no doubt all pleasing. In these moments of joy Wedding Chiavari Chair comes really helpful and comforting. 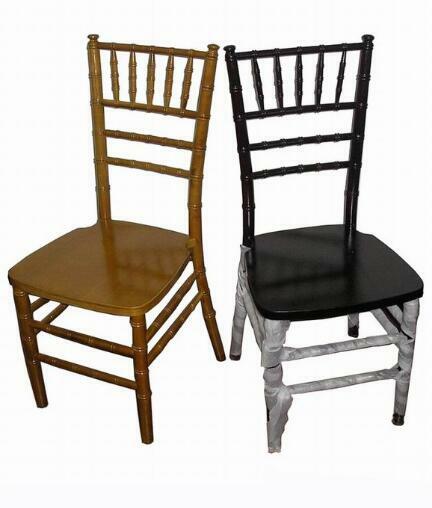 There are multiple ways in which you can decorate the Chiavari chair into beautiful manner, multicolored clothes can be used as a covering on their backs and seats, sometimes different colored chair adds an excitement to the place and so on.